Improving employee engagement and productivity is becoming a more difficult job by the day, as pressure in the workplace is affecting the mental health, mindset and psyche of staff and managers. To be expected to do more with less is a recipe for disaster in the medium to long term. As numbers get cut, budgets slashed, pressure increased, performance management tactics are counter-intuitive to enhanced performance in the workplace. To be on the receiving end of this approach triggers the sympathetic nervous system in the worker who constantly survives or dives under the psycho-physiological weight on their shoulders or in the brain's limbic system which ever you are more comfortable with discussing. Once triggered, the problem rolls on and the nervous system cannot be placated by reward and punishment, carrot & stick systems mainly used for enhanced productivity. At work fear is now the primal motivator and leads to maladaptive behaviour such as hiding, blaming, cheating and covering up. At home the negative thoughts spiral continue downwards leading to poor wellbeing, health and attitude. Driving to work the next day and the intensity ramps up. The cycle never ends and gets worse in terms of cortisol levels pumping through the bloodstream causing disease and leads to avoidance mindsets where remaining at home through sickness seems the best option. There is no doubt that this is not conducive to great clarity, focus, decision making, problem solving and ultimately mastery. The limited amount of mental energy is consumed on negative aspects of the job instead of creativity, vision and purpose. The drain in terms of brain glucose is for negative thoughts, unhelpful emotions and poor attitude towards work and output. The problem with the above is that engagement levels, productivity and performance are as low as they have ever been and still falling all over the world. As organisations, leaders and managers the mindset and philosophy towards employees cannot keep duplicating what has always been done and needs to change. The command, predict and control model was introduced to match automation through the advent of the industrial revolution and is not suitable for the rapidly changing requirements of the modern day. A system of matching the right employee to the right role in the right organisation pays dividends. The organisation saves fortunes in terms of management time looking after punishment and paper pushing and helps the employee to be armed with a new set of performance tools that not only helps them do their job more efficiently but helps them improve the neuro-psychological and physical aspects of their wellbeing. People love to work, but they want to make a difference, be valued, even noticed as they pursue their full potential. This should not be taken away from them. They should be encouraged to take control and autonomy of themselves at work, slashing wasted training and learning regimes. In my work I can vouch that these tools make incredible differences in mindset, attitude and ultimately behaviour that flows through to better performance. Through my work in the elite side of sport and other high pressure arenas, I have seen huge changes in output and reductions in about turnover, sickness days and just poor execution of duties. Managers coach and guide and employees become switched on to hits of dopamine and serotonin in the brain. Fear is replaced with challenge, avoidance is replaced with approach and motivation defeats disengagement. and many more. The purpose of the material is that it is all built upon performance science and the understanding of what it takes to succeed in any task you approach. It is all evidence based and can turn average and demotivated staff into great performers that will deliver exceptional ROI to your organisation and very quickly. Think of it as a paradigm shift in terms of leadership and organisational culture that finds its way to all staff and middle managers. To see people taking control of their own development and feeling joy once again is a great sight. Time and resources are saved and more money is made. Obviously there will be a minority that will not sign up and they may have to get off the bus but overall the take up rate is huge and profitable. 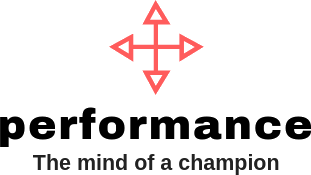 Performance synchrony is true alignment with your markets and to have all the people, process, systems, culture and leadership in true alignment will produce huge organisational change and quickly. Find out more about mental health at work, the evidence, research and mental health training courses.